Trade shows are tough, aren’t they? 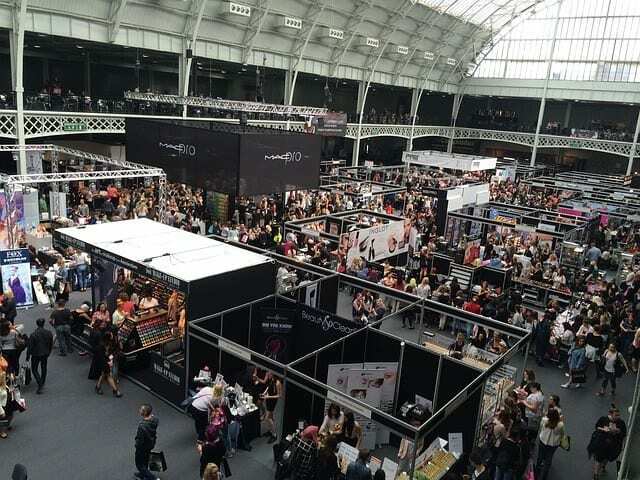 So many vendors, so much noise; it can be hard to make your booth stand out. In fact, we at Plum Productions just exhibited at our first trade show, and we learned a big lesson we’d like to share: video draws visitors to your trade show booth. It’s true! An eye-catching video makes it near impossible for someone to walk by without noticing you. For the best impact, set up a flat screen TV, hook it into your laptop and place it on the table in front of your booth—not behind you. In a pinch, you can play your video right off your laptop if you don’t have an extra TV handy. Ours was so effective that we gained several new clients, one of them being a custom video for—you guessed it—an upcoming trade show! As great as trade shows are, you might approach a video for your booth differently than a video on your website. First, chances are the room you’re in will be loud. Narration on your video might get lost. You’ll want to make sure your video includes “punch words” or short phrases about your business. Remember, a trade show video isn’t going to get into the nitty gritty about your services. It just needs to get people to stop and talk to you. Second, go for flash. Bright colors and quick edits grab attention. Lastly, keep it short. Remember, it only takes a few seconds for someone to pass your booth. Keep your video concentrated to the exact information you want a passerby to see. You can check out the video we created for our new client and see a real life example of an effective trade show video. Good Luck! If you need any help, let us know!